MEMPHIS, Tenn. (June 3, 2015) – Country music singer-songwriter John Rich will again headline St. Jude Presents John Rich and Friends, an evening of songs, stories and hope, Tuesday, June 9, at the Cannon Center for the Performing Arts. Joining Rich this year are Lee Greenwood, Lorrie Morgan, T.G. Sheppard, John Conlee, Frankie Ballard, comedians Williams & Ree and his Big & Rich bandmate, Big Kenny. Proceeds from the event, which kicks off the 2015 FedEx St. Jude Classic golf tournament week, benefit St. Jude Children’s Research Hospital®, which is leading the way the world understands, treats and defeats childhood cancer and other life-threatening diseases. Funds from this event help ensure families never receive a bill from St. Jude for treatment, travel, housing or food – because all a family should worry about is helping their child live. 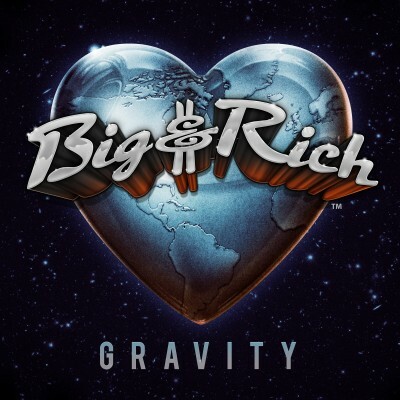 Rich has a string of hits as a solo artist and with Big & Rich, including “Comin’ to Your City,” “8th of November” and “Lost in the Moment.” Fellow performers Lee Greenwood, Lorrie Morgan, T.G. Sheppard and John Conlee have more than 30 No. 1 singles combined. St. Jude partner Window World® is presenting sponsor for the fourth consecutive year, and plays an important role in the success of St. Jude Presents John Rich and Friends. Through its charitable foundation Window World Cares®, the company supports St. Jude throughout the year and has raised more than $5 million for the kids of St. Jude. Tickets are available for purchase at Ticketmaster, ranging from $40-$80 per person. The tournament now known as the FedEx St. Jude Classic was founded in 1958 as the Memphis Open. The world-class event has raised invaluable funds and awareness to support research and treatment at the hospital since it became the sole charity in 1970. FedEx became title sponsor in 1986 and donations to the hospital skyrocketed. FedEx completed twenty-one years as title sponsor in 2006 and became the umbrella sponsor of the FedEx Cup in 2007. The tournament is produced by Youth Programs, Inc., a not-for-profit 501(c)(3) organization. Window World®, headquartered in North Wilkesboro, N.C., is America’s largest replacement window and home remodeling company with more than 200 locally owned and operated offices nationwide. Founded in 1995, the company sells and installs windows, siding, doors and other exterior products. Window World is an ENERGY STAR® partner and its window products have earned the Good Housekeeping Seal for six consecutive years. In 2013, it was ranked “Highest in Customer Satisfaction with Windows and Doors in a Tie,” by J.D. Power. For more information about Window World, visit www.WindowWorld.com or call 1-800 NEXT WINDOW. Window World Cares® is the charitable foundation of Window World and founded in 2008 by Tammy Whitworth and her late husband, Todd. The foundation has raised more than $5 million for St. Jude Children’s Research Hospital and hosts a holiday party each December for the patients and their families. To learn more about Window World Cares or donate, visit www.WindowWorldCares.com.